Are you Looking For A Roger Moore Impression? 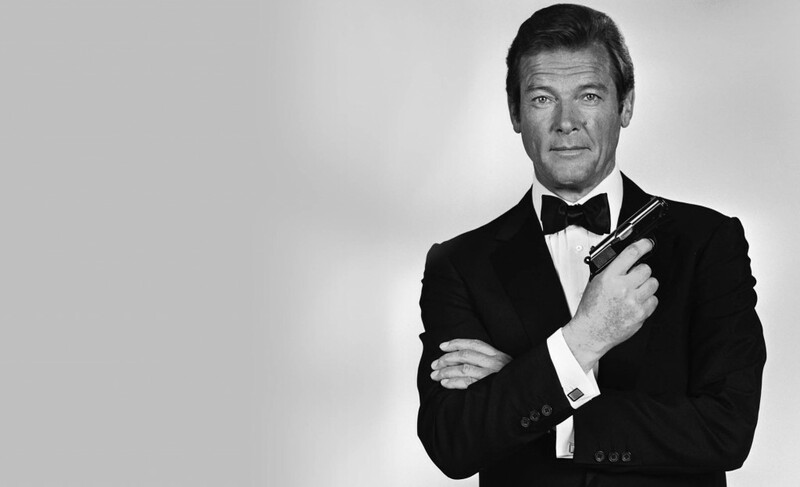 Depending on what era you grew up watching, Roger Moore may well be your favourite James Bond. Roger spent 12 years in the role from his debut in Live And Let Die in 1973, to his final film, A View To A Kill in 1985. The beloved British spy is quintessentially English, smooth and sophisticated and never seems to loose his cool, no matter what scrapes he gets himself into. In order to impersonate the late great Roger Moore, you have to lower your voice as he has a deep, rich, warm timbre. He’s sophisticated and oozes class, is well spoken, measured and calm. You rarely hear Roger Moore’s James Bond shout or get flustered and he speaks in a laconic and laid back manner. As a full time voiceover artist and celebrity impressionist, I have to say that impersonating the great Roger Moore is a lot of fun! Here’s an example of my Roger Moore impression, in a promo for Signal 1 Radio. Roger played James Bond in a total of six films and had some memorable catchphrases along the way! Bond: He always did have an inflated opinion of himself. Scaramanga: You get as much pleasure out of killing as I do, so why don’t you admit it? Minister of Defence: Bond! What do you think you’re doing? Are you looking for an authentic impression of Roger Moore, then I’ll be happy to help you with your project. Please do get in touch and let me know how I can help you. Thanks for visiting!